As we dive deeper into home brewing hard apple ciders and apple wine, we are doing our best to try a wide variety of what is available so we can learn more about what characteristics we like and dislike. This cider has been described as ‘tart’ but to us, it is more on the vinegar-y side of things. We found this with a few ciders, including that which we made from the Mr. Beer Cider Kit. At first we thought something was wrong but no, I guess there are just some people who like cider that tastes like vinegar. 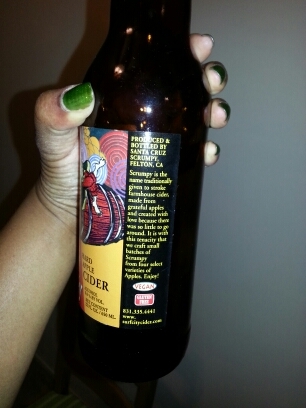 I did not like this cider at all. I mean, we drank it (waste not, want not), but I would not purchase it again. 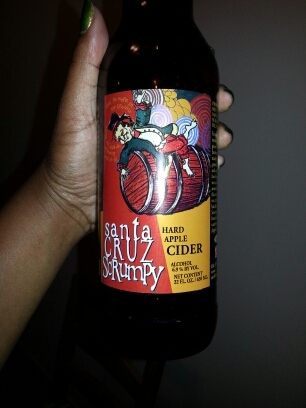 That being said, I prefer my cider to basically be boozy apple soda. Also, the description on this bottle describes the apples they used as “grateful” and upon some research I learned that the word ‘grateful’ used to mean “pleasing.” So, this wasn’t a complete loss.